Designed with families in mind, the new Toyota Prius+ is the perfect family car with plenty of room to comfortably seat up to seven people. 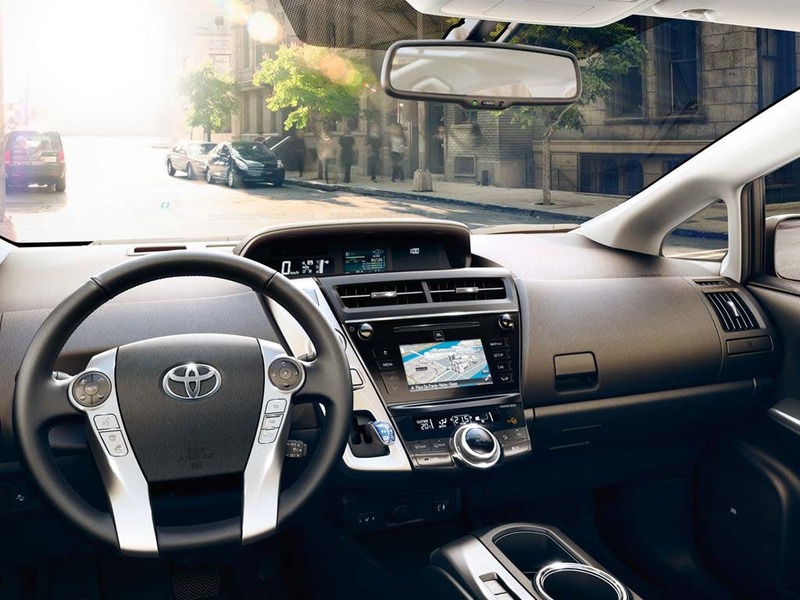 With impeccable safety and security features, including an intrusion sensor and siren, the Prius+ will keep you rest assured that you are in good hands. Accelerating to a top speed of 101mph, this people carrier is unlike no other, make light work of achieving motorway speed. The new Toyota Prius+ never fails to impress. 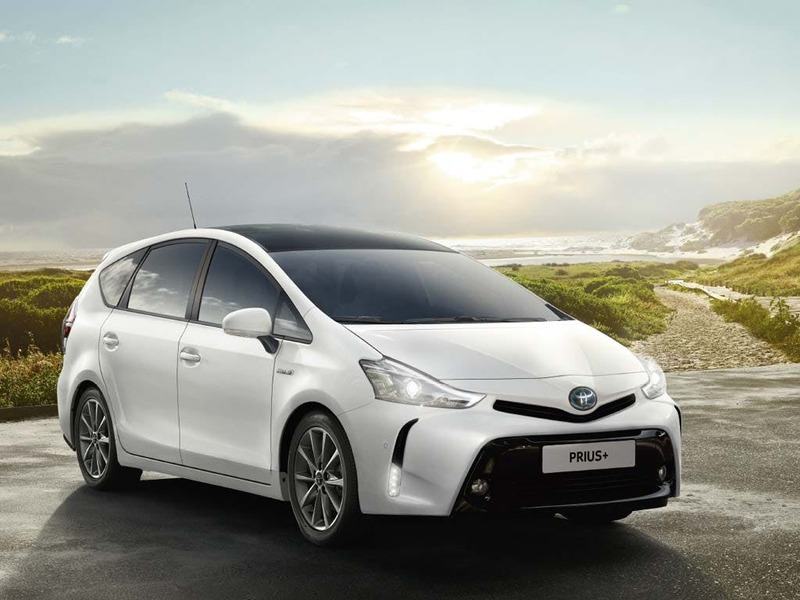 Discover all the latest Toyota Prius+ offers currently available. 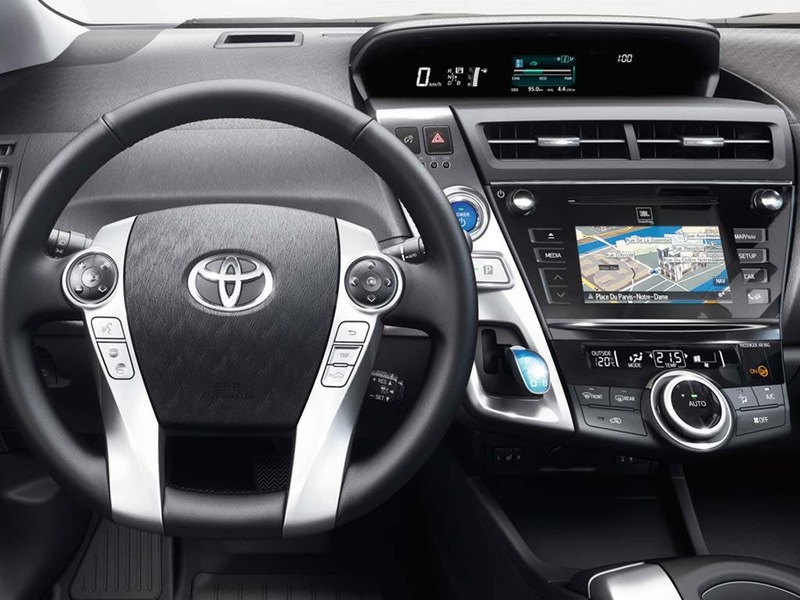 Every detail matters, view the Toyota Prius+ technical specification. 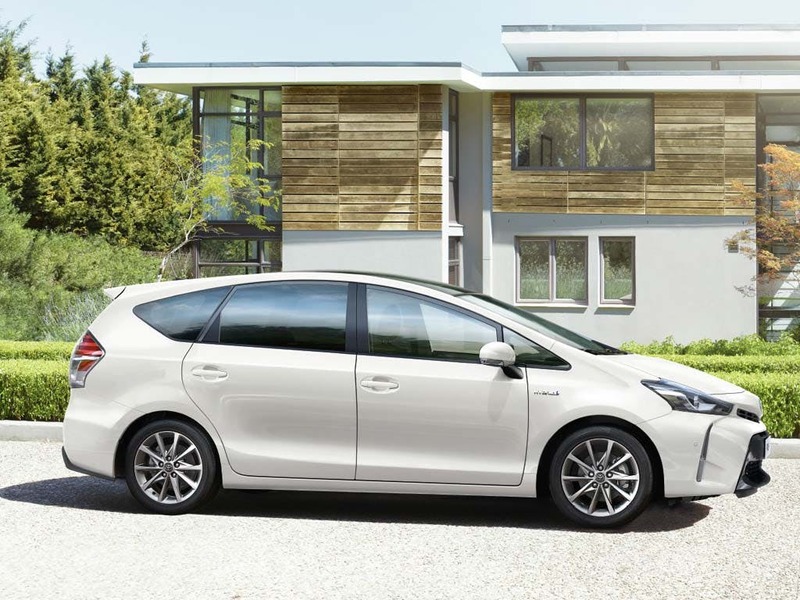 Download the latest Prius+ brochure. 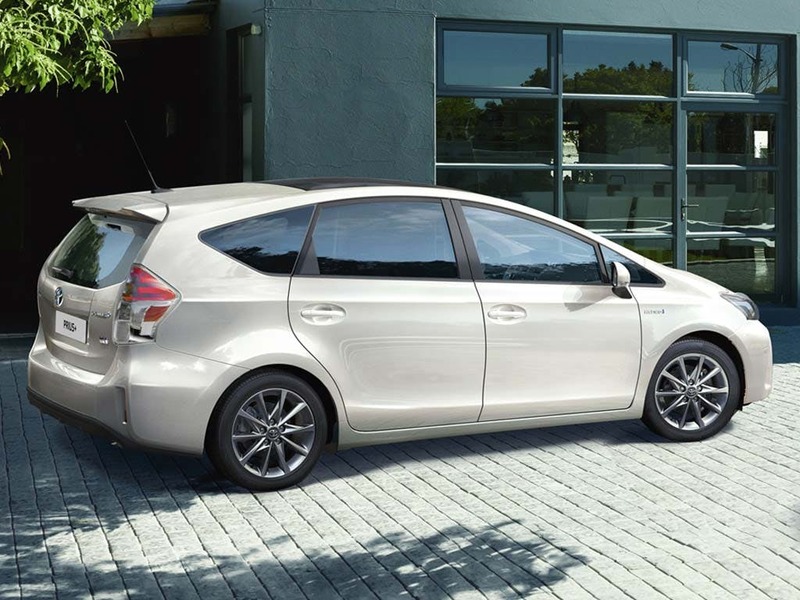 Thanks to its innovative and aerodynamic design, the new Toyota Prius+ is outstanding. Having slashed its emissions by as much as 14 percent compared to previous models, Toyota has created a people carrier that is worthy of its family title. Not straying away from its other Prius siblings, the Prius+ features an elegant front grille that denotes Toyota’s typical styling. It also comes with optional metallic and pearlescent paint, both in bright and more refined shades. 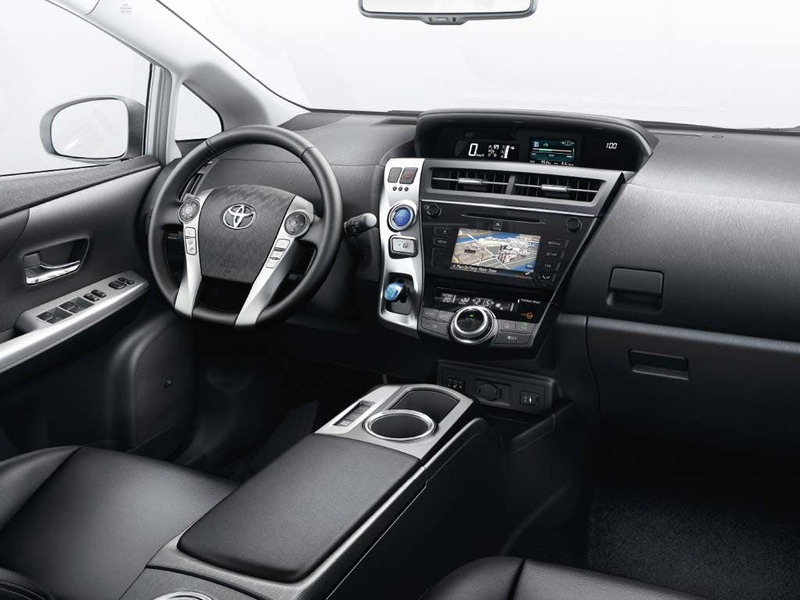 Inside the new Toyota Prius+ is a cabin full of advanced technology and a plush interior that is just waiting to be explored. Take advantage of the Ecometer and the energy monitor, which both feature as standard, providing you with all the details of your emissions and current fuel consumption. Bluetooth connection allows you to make calls and use voice controls to access various features without being distracted. A leather covered steering wheel provides comfort and style for a feeling of first-class luxury. Added premium quality comes with split folding rear seats, which creates a flexible load space. Featuring Toyota’s environmental innovations in a seven-seater vehicle, the new Toyota Prius+ is a world-first. 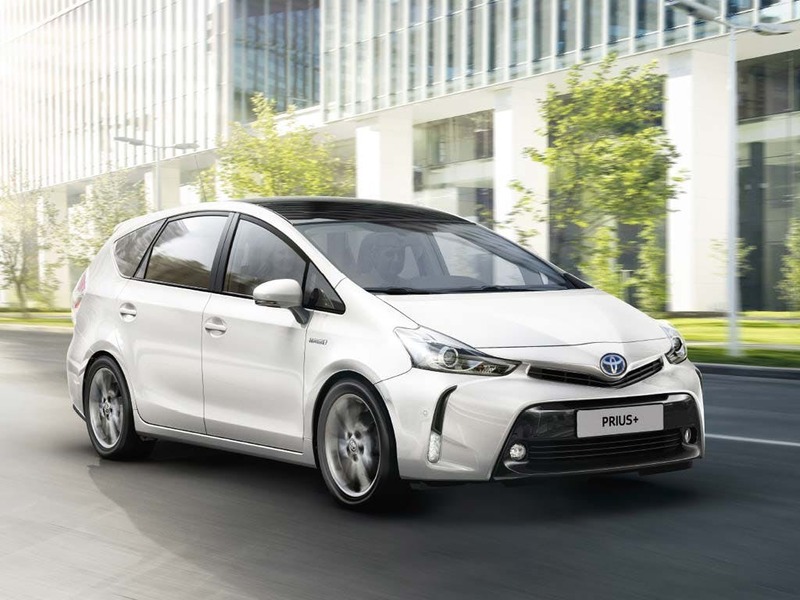 Using the Japanese manufacturer’s Hybrid Synergy Drive system, the Prius+ combines two consistent electric motors with a beastly 1.8-litre petrol engine. Providing you with a higher fuel efficiency, lower emissions and smoother drives, the new Prius+ is the perfect family car. Exempt from road tax, this people carrier only emits 96g/km of CO2 so you can make the most of family road trips in style. 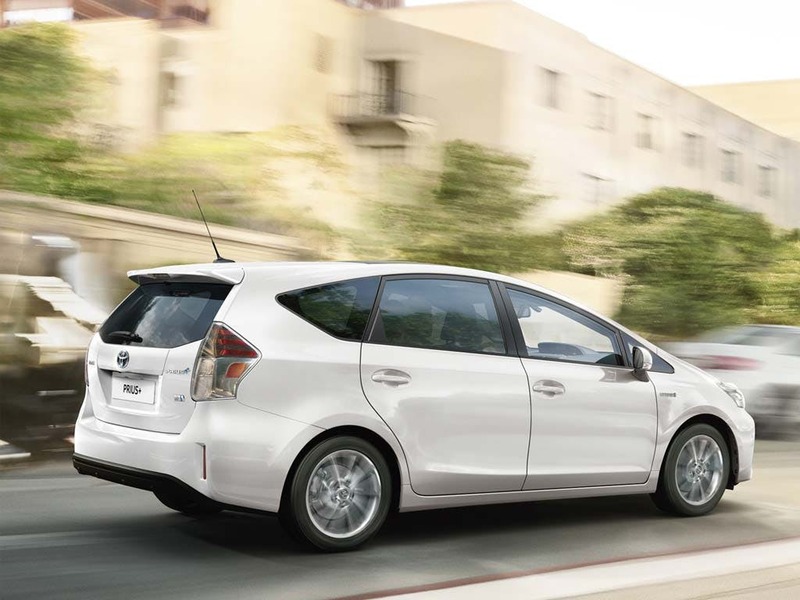 With a top speed of 101mph, the Prius+ accelerates from 0-60mph in just 11.3 seconds. Enjoy peace of mind with the new Toyota Prius+, offering you and your family safety and security like never before. 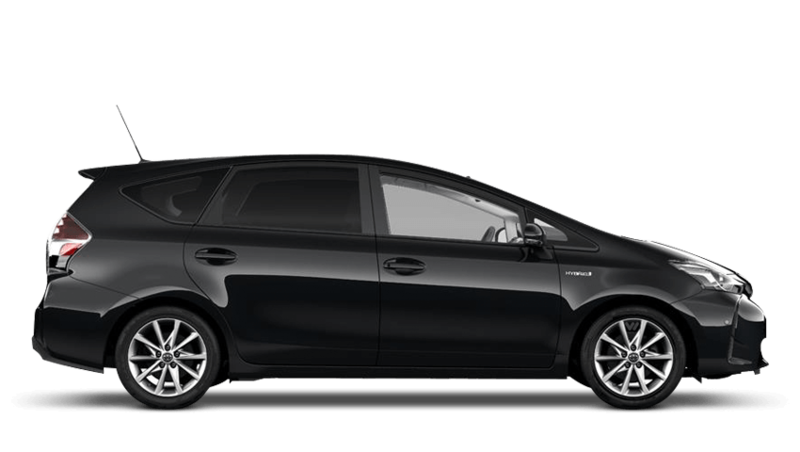 Simply park up and walk away knowing that your Prius+ is secure by remotely activating the central double locking system. 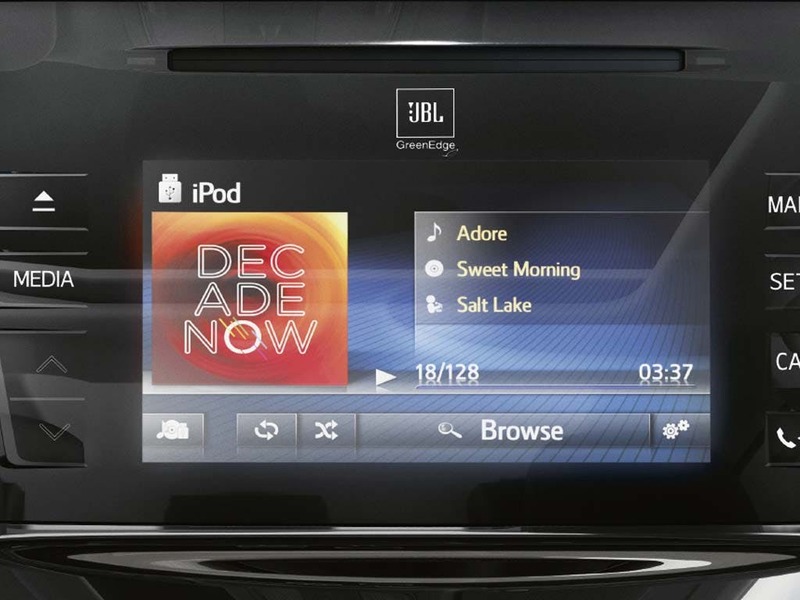 With a panic alarm and an anti-theft device inside the cabin, which includes an intrusion sensor and siren, you and your family can enjoy your time on the road worry free. 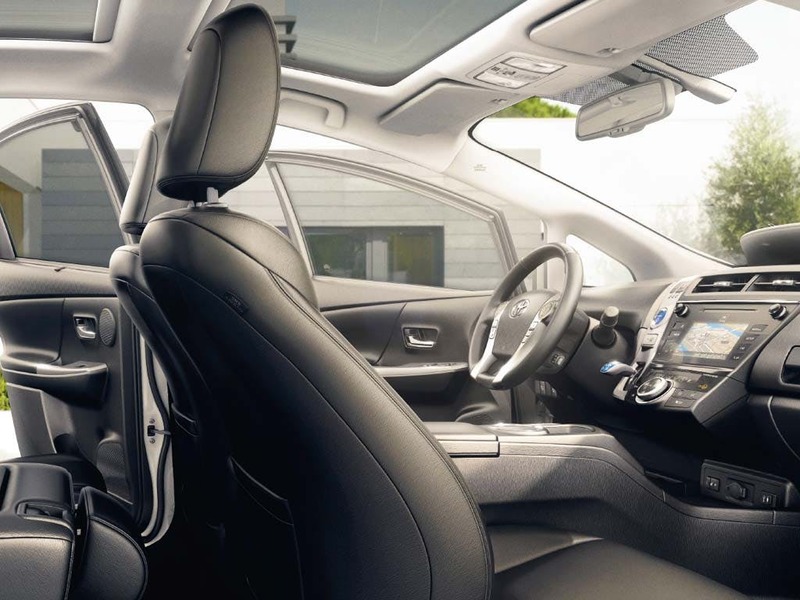 Featuring all-round protection, the Prius+ comes with front, side, driver’s knee and curtain airbags, keeping you and your passengers out of harm's way. Make driving a breeze with the new Toyota Prius+. Visit your local Toyota dealership in Kent for more information.